The replicas are the 'gas projector' and the 'arc generator'. The website mentions that you will need Prawn dna to operate it and other similar merchandise from D-9 will follow soon. Greg Broadmore designed all the props and the conceptual design for the movie. 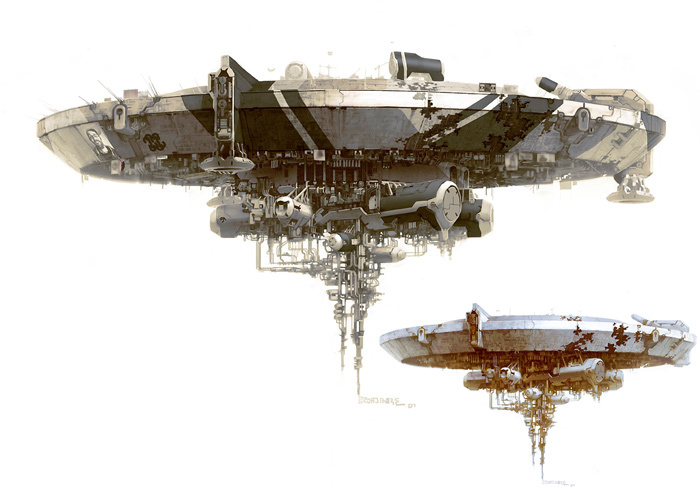 You can see his sketches for District 9 in his website here, alongside the other galleries for different projects. Previous short films of Neill Blomkamp is the inspiration for D-9, "Alive in Joburg" and a short preview of the abandoned Halo movie.